*Participating exhibitors is subject to change. 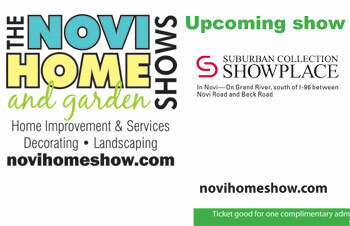 Download a coupon for discount admission to our current Novi Home and Garden Show. Subscribe to our e-newsletter list for offers, news updates and more!